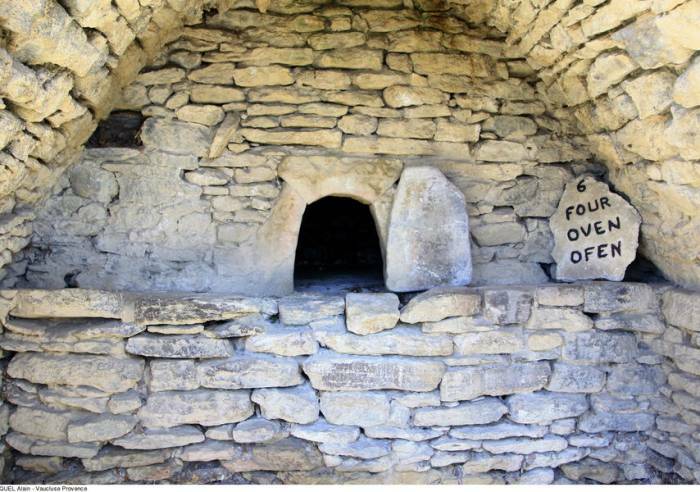 This Bories village was listed as a Historical Monument in 1977 and is home to the largest collection of bories, including sheepfolds, bread ovens, wine storerooms, fences, enclosures and walls. It is a traditional heritage site that represents the Provençal countryside's unique identity. A genuine marvel! 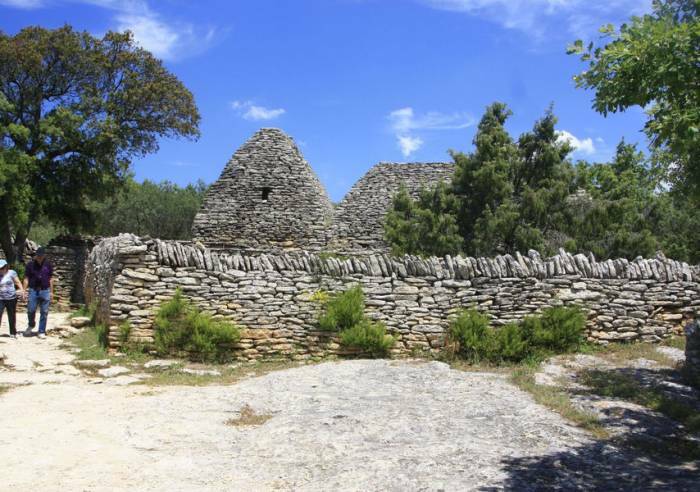 Bories, also referred to locally as Gallic huts, are built from dry stone walls, without the use of mortar, based on the architectural principle of the corbelled vault. 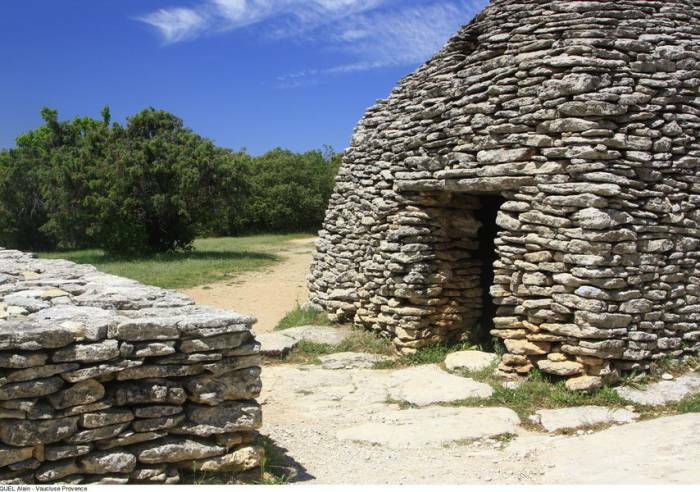 These traditional huts were constructed from stones found on site, a practice that continued up until the last century. In the 17th and 18th centuries, the increase in population forced farmers to grow crops on new land. 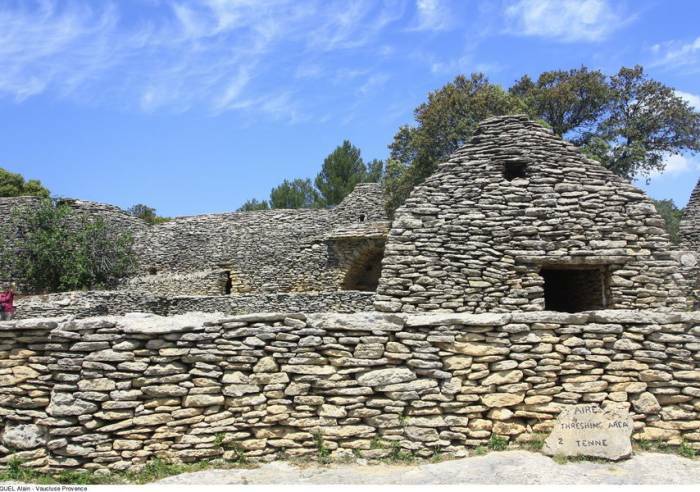 The stones extracted from the limestone hills and ground around Gordes were used to build "farm" huts. The Bories Village, restored between 1969 and 1976, stands today as it did when the last inhabitants abandoned it approximately 150 years ago. Practical information :The town hall provides a free shuttle service for senior citizens (except Saturday afternoons, Sundays and public holidays); to book, call +33 (0)4 90 72 02 08.Guided tours in July and August, on request. Group guided tours available; book at Tourist Office: +33 (0)4 90 72 02 75. Open all year round from 9 am to 5.30 pm in winter and 8 pm at latest in summer. Allow 3-4 hours for visit.Closed the 1st January and the 25th December. Set price group adults: 5 €. From 02/01 to 31/12/2019, daily at 9 am.